We all have our preferences when it comes to food; but what we like doesn’t always vibe with what’s good for us. Despite the immediate pleasure we get from them, pizzas, fast foods, sweets, and other indulgences end up crushing any hopes we have of losing weight and ditching the bloat. Plus, they have a way of making us feel sluggish, drained, even unhappy and contribute directly to poor sleep patterns. Like all primates, though, we use our vision to select food to eat. The image of the items we choose activates a variety of physiological, emotional, and cognitive processes in our bodies – creating cravings that can be very difficult to ignore. We’re only human, after all. Introducing True Preferences: a mobile app that gets down to the science of food choices to help create a healthier you. It’s your new personal nutritional guide that makes it easier than ever to understand which foods keep you from accomplishing your health goals. Here’s how it works: your biofeedback is analyzed by determining micro-changes in blood flow circulation in your face, which are naturally caused by certain foods. The result, in just seconds, is personalized recommendations on which foods to avoid for the next 2 hours. 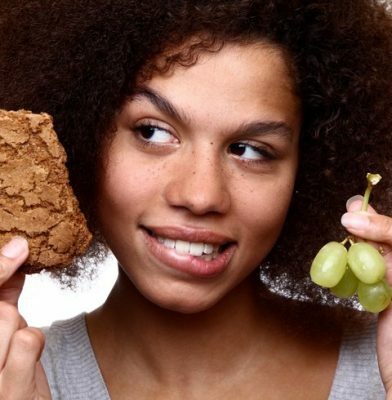 We show you which foods fail to compliment your specific nutritional well-being. Leveraging technological concepts that date back to 2001, True Preferences is currently being steered to market by a dedicated 10-person team of physicians, business executives, and advisors. Returns from early users have been impressive: “True Preferences keeps the guesswork out of what I should avoid. It’s the ideal stress-free tool to incorporate into my busy life of work and travel,” stated Salome Mindadze. If you would like more information on True Preferences, just visit https://truepreferences.me/. You’ll even have the option to submit your email and stay on top of app updates. Team member Elizabeth Lataria is also reachable at elizabeth@facecontrol.biz.